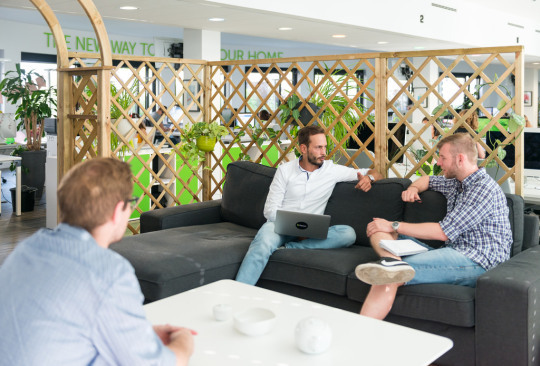 Our Houzz family in Berlin has grown exponentially in the last year, and the office has grown with it. 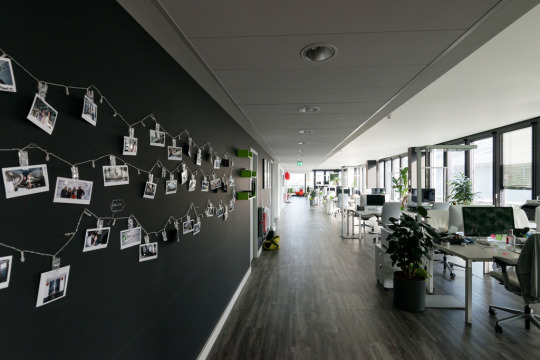 The original space was already a great reflection of the Houzz culture, with imaginative themed conference rooms and lots of room for both individual and collaborative work. 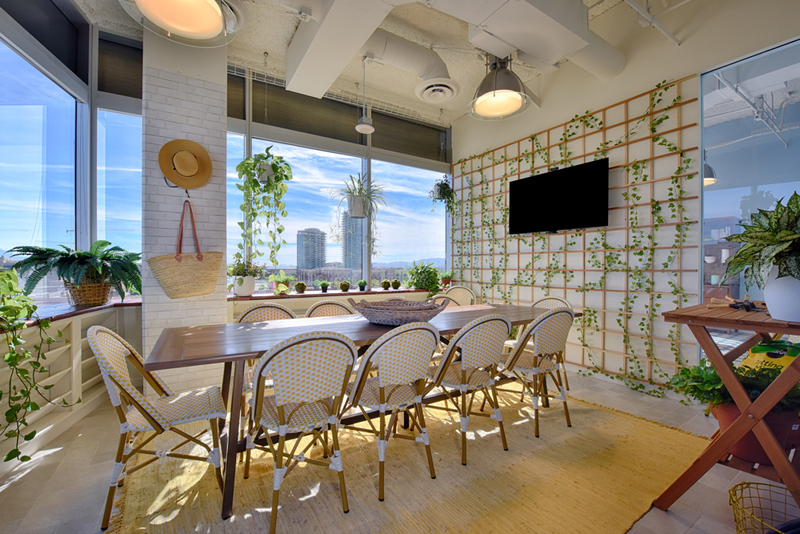 The expansion added new meeting rooms and working space while making sure employees feel like they “come home to the office,” as one Houzzer recently put it. 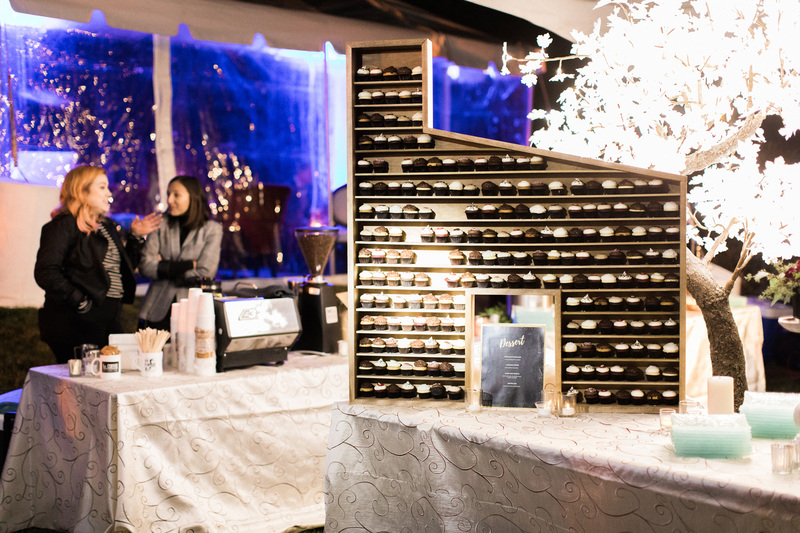 Let’s take a tour of the office, starting with the café. A wall of windows in the kitchen and eating area offers a bright and airy atmosphere for meeting people across all teams, whether over breakfast, catered Friday lunches, birthday celebrations or late-afternoon pick-me-up snacks. What looks like a bright green refrigerator door in the kitchen actually leads to a hidden meeting room, with furniture sourced from a local Berlin bar. The pizza boards on the wall are a nod to our Italian team and Italy’s extensive culinary heritage. Each meeting room has a theme, such as the Deutsche Eiche (German Oak) Room. 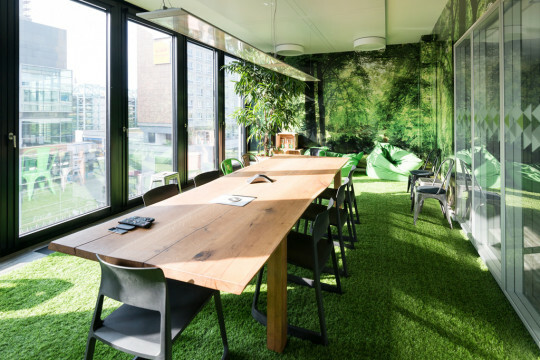 The astroturf floor, wooden table, and forest-view wallpaper create the sense that your meeting is taking place in the middle of the Black Forest or a magical wood from a Brothers Grimm tale. 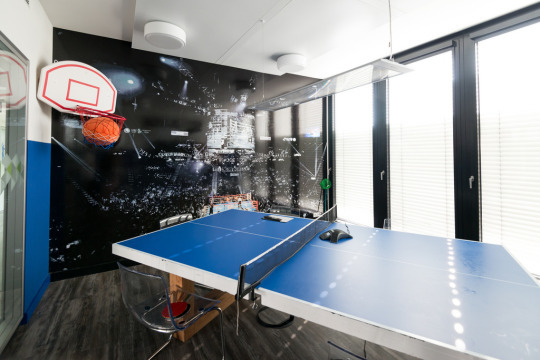 Next, we have the Games Room, where Houzzers have been known to play a round or two of ping pong during breaks. 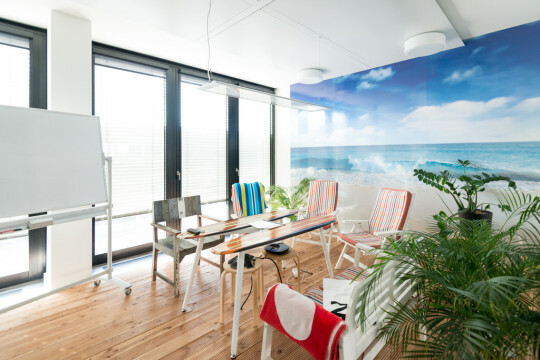 The Beach Room boasts a surfboard table, a deck-style floor, a bench and even beach towels. 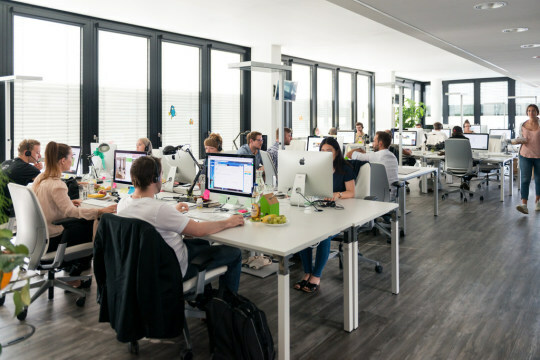 The open-plan office beyond is set up perfectly for collaborating, with wide desks set up in groups. In the middle is a couch area for those who think best when they’re a little more relaxed. 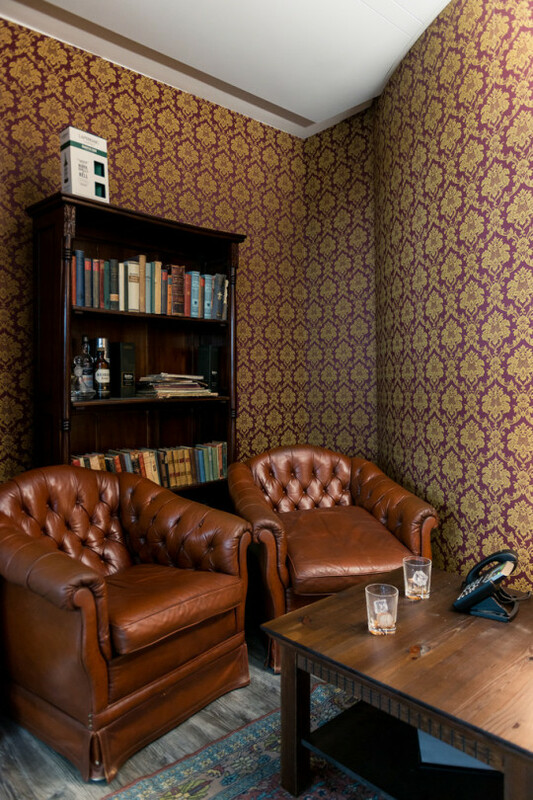 The Whiskey Room just beyond the desk-area is a throwback to a traditional English study. 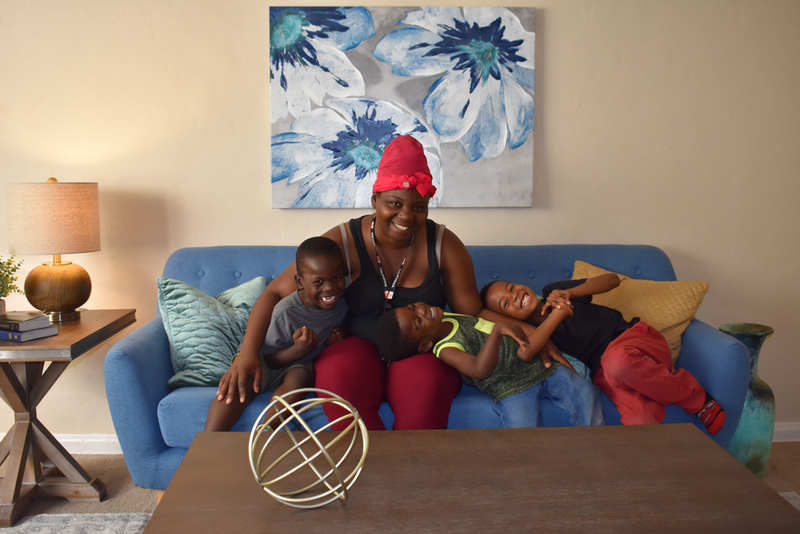 Houzzers often show off their talents on the working drum set, guitar and keyboard after hours in the Music Room, which also doubles as a spacious meeting area during the workday. 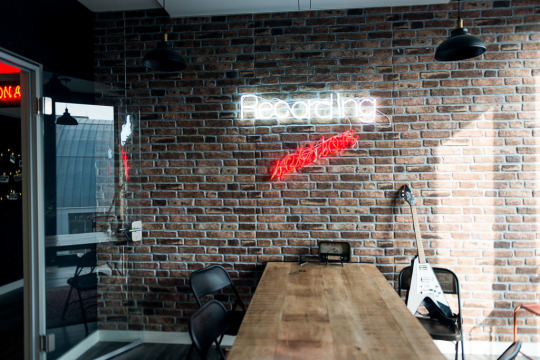 A row of polaroids of our team hard at work and play leads to a quiet office area and more creatively themed meeting rooms. 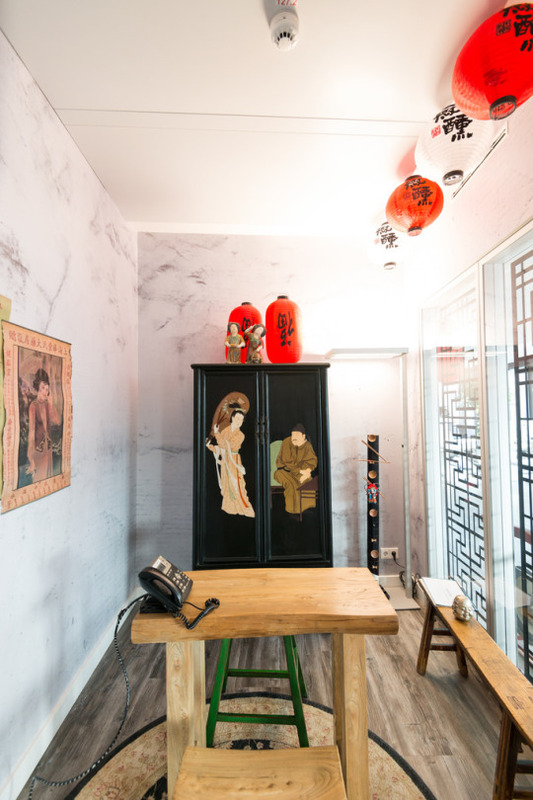 The Chinese Room boasts prints of vintage Chinese posters and a wardrobe that echoes traditional lacquered cabinets. Next to it is the Gym Room. 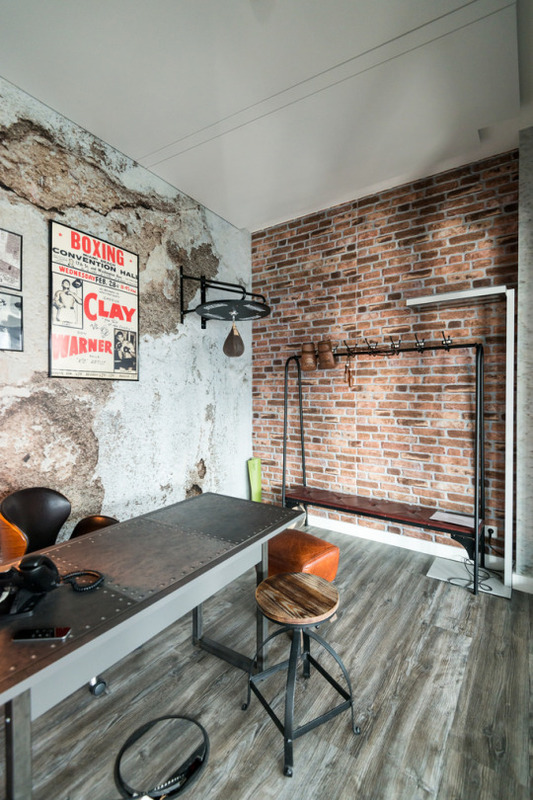 Its leather seats and punching bag, faux-brick wall paper and prints encourage Houzzers to be true contenders. 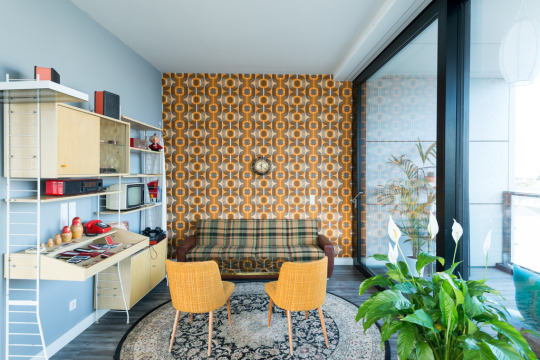 The GDR Room is devoted to ostalgie — nostalgia for the vintage style of East Germany — from a classic couch to East German medals, a record player, and of course the requisite orange wallpaper. It is full of vintage finds from flea markets and vintage shops. 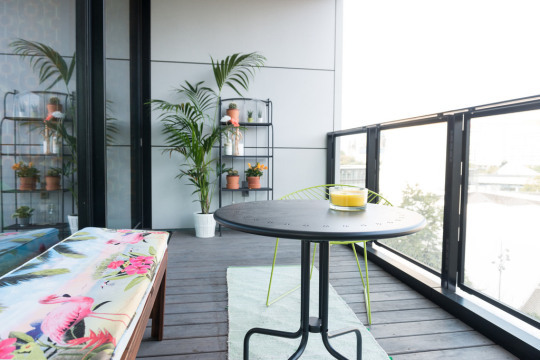 The office opens out to a balcony with plants, a welcoming bench and an acapulco chair to let Houzzers enjoy a Palm Springs vibe as they look out onto Berlin’s famous TV tower. 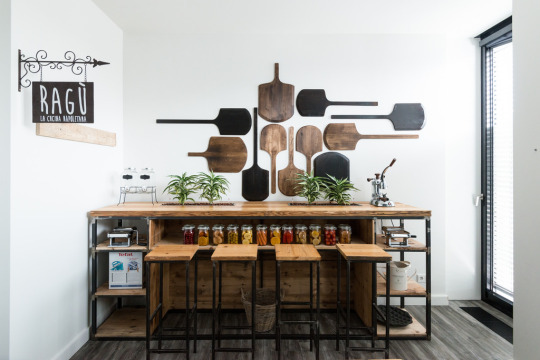 We hope you enjoyed your tour through our Houzz Berlin home! All images credited to Kate Jordan.